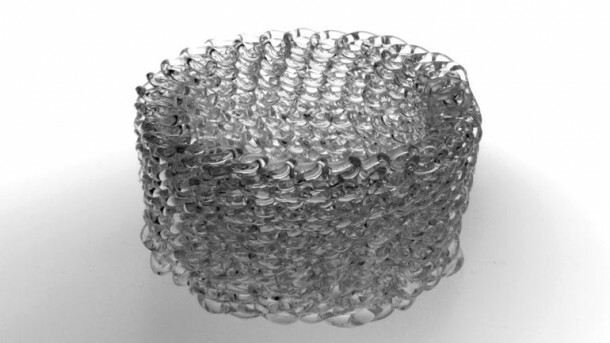 Glass has been in use for 3D printing for quite some time. The objects made with it surpass the design constraints of a conventionally manufactured piece. But the glass used has either been sintered from powder or silica sand has been used to gradually make the part through deposition of interpolating cross-sectional slices. But, in a recent study by Neri Oxman and MIT’s Mediated Matter group has made various intricate geometries with the help of extruded molten glass as well. 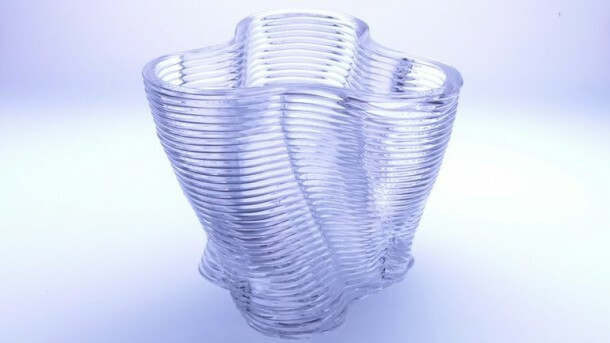 Dubbed the G3DP or the Glass 3D Printing, the new technique uses a fully fledged melted glass extruding 3-D machine. 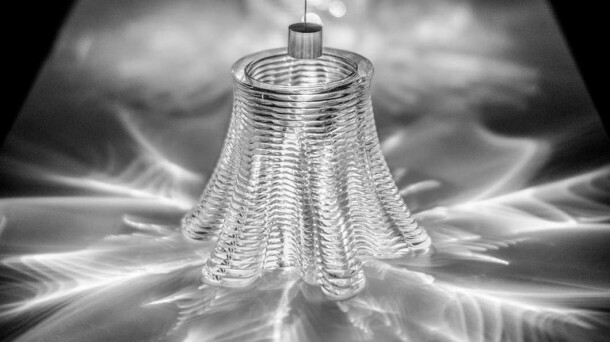 The other processes like laser sintering aren’t natural ways to make glass, so they aren’t as finely made as the objects made with molten glass. Now that the process has been perfected using 3D printing technology, it has been used to make some of the most beautiful objects and art pieces that would look good in any expensive art collection. The out-of-favor Fused Deposition Modeling (FDM) was the process through which the newer models were made. It had always been limited in this regard because of its inability to handle materials that melt at higher temperatures. The cheapness, hardness, durability and optical qualities are what makes glass an excellent candidate for future 3D printing technology. The ingredients are readily available as well. However, working with glass is tricky due to its cooling rate that needs to be carried out at a specific slow rate to attain the right crystallization. The process is called annealing. A specially designed heat controlled chamber was engineered primarily for this purpose since the propane based heaters proved difficult to be controlled. Now with accurate control and automation, the precise temperature can be maintained for quite some time. It was named the annealing chamber. The 3D printer is made up of a Kiln cartridge that can melt glass at temperatures exceeding 1165 degree centigrade. The temperature is adjustable depending on the kind of glass and the intended purpose. The material is then extruded through a 10 mm diameter nozzle that is heated itself to 100-degree centigrade. The size of the 3D printed parts is limited by the size of the annealing chamber. But I doubt it will be much of a hurdle in making larger parts through this process. The chamber even has see-through walls so that we can see the systematic deposition of the cross-sectional slices building themselves into a finished part. It is just like watching the slow motion video of honey being poured from a jar. Artists can now create the things out of glass that were very difficult to make before. 3D printing is developing faster than any other manufacturing technology and it will affect our lives much more in the coming years. Whole factories could be a thing of the past!